Each spring for the past seven years, I have taught an interdisciplinary course at the Cooperstown Graduate Program in Cooperstown, New York that explores how museums are (or should be) engaging with issues of class, race, gender, sexuality, and ability in American society and culture. My students and I start by reading classic fiction and non-fiction texts—such as Du Bois’s Souls of Black Folk, Richard Wright’s Uncle Tom’s Children, Anzia Yezierska’s Bread Givers, and Tony Kushner’s Angels in America. These texts serve as entry points for our discussions, which tackle everything from racial violence and stereotypes to LGBTQ rights and issues of accessibility. 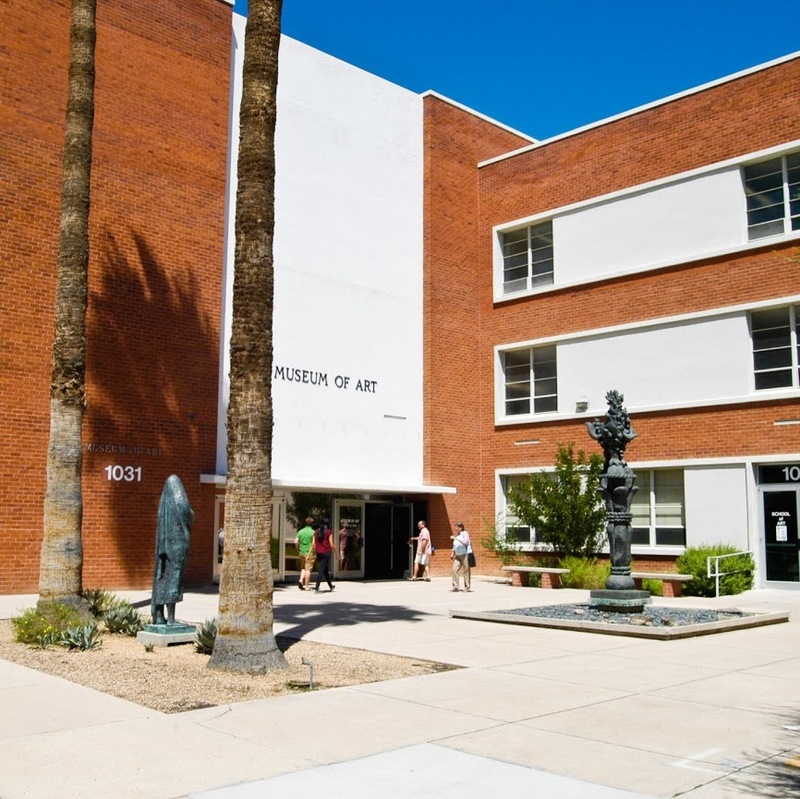 As a public historian, I encourage my students to connect past and present while exploring the landscape of museum exhibitions, programs, and other projects that address challenging social and cultural topics. My training as a historian taught me that to separate ideas of class, race, gender, sexuality, and ability from their historical contexts is to miss their true meanings—the real power that they hold in American society to shape and define people’s lives. Even as we discuss historical narratives, however, my students and I think about contemporary society and critically analyze current museum practice. For example, this past spring, when examining representations of lynching—in Richard Wright’s fiction, the Without Sanctuary exhibition, and the work of artist Ken Gonzales-Day—we also spent time discussing the #BlackLivesMatter movement and followed #MuseumsRespondtoFerguson on Twitter. When it works, the course design allows for seamless integration of discussions of historical interpretation and contemporary issues. Don’t look to anyone to represent a whole group of people. Keep an open mind. The questions are often more important than the answers. Engage in gentle inquiry. Ask questions to increase your understanding. Notice how you feel internally and how others are reacting to what you are saying or doing. In my experience, students honor the guidelines scrupulously. On rare occasions, I have had to remind them of a particular guideline or intervene—gently—in a discussion. Typically, however, we are able to get right back on track after these momentary interruptions. Although our discussions can sometimes be intense, these and other ground rules keep the level of engagement civil and constructive. These modes of engagement carry over into other areas of their work, complementing the team building strategies we emphasize throughout the curriculum, and my expectation is that students will carry these life skills forward into their careers as museum professionals. When students leave my course, I expect that they will have an array of innovative museum project ideas at their fingertips from which they can draw in the future. 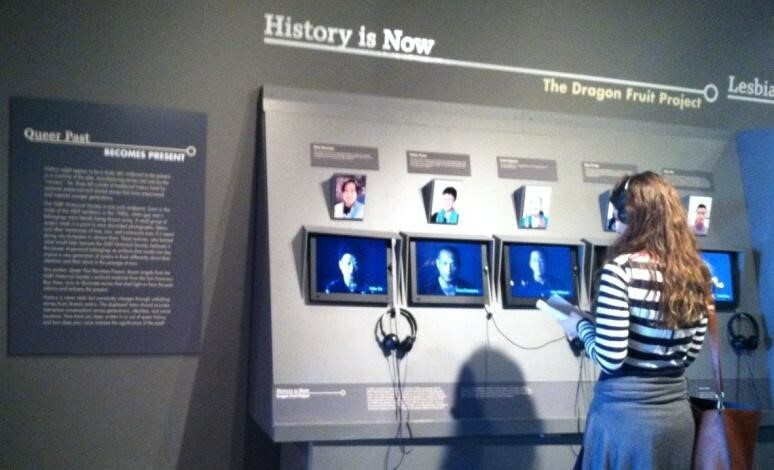 For example, if they are asked to contribute suggestions for an exhibition on Chinese immigration, they will be able to refer to the New-York Historical Society’s Exclusion/Inclusion exhibit or the Museum of Chinese in America’s Waves of Identity. Similarly, if they are charged with developing an exhibition on gender and sexuality, they will have the touchstones of Hide/Seek and Revealing Queer to refer to. In this way, as museum professionals, they won’t be constantly reinventing the wheel, but rather they will build on the work of their predecessors. Each time I teach the course, my students and I start by creating a list of ways museums can engage with issues of class, race, gender, sexuality, and ability. The list is never exactly the same, but typically it looks something like this. Understanding what museums can do, and examining how others have done some or all of these things, is the first step toward creating a new generation of museum professionals who will make twenty-first-century museums more inclusive, engaging, vibrant, and essential institutions. Ultimately, I want graduates of our program to have the skills and knowledge to be able to develop exhibitions, programs, and digital projects about some of the toughest, but also most profoundly important issues in our society. My colleagues and I recognize that a single course cannot train students to accomplish these things. Consequently, we are constantly working on ways to infuse issues of class, race, gender, sexuality, and ability across the curriculum. I would love to hear how others are tackling similar challenges. The Cooperstown Graduate Program (SUNY Oneonta) is a two-year master’s degree program in history museum studies located in Cooperstown, New York. Most of our guidelines are drawn directly from, or are variations of, the guidelines shared with me by Sarah Pharaon, Senior Director, Methodology and Practice, Sites of Conscience. Will Walker is associate professor of history at the Cooperstown Graduate Program (SUNY Oneonta). He is the author of A Living Exhibition: The Smithsonian and the Transformation of the Universal Museum and a lead editor for History@Work, the blog of the National Council on Public History. “I am subversive the best I can.” Lonnie Bunch, director of the National Museum of African American History and Culture, discusses the place of sexuality and LGBTQ people in museums, the tensions of leading a national and community museum, and why the African American story is a global one. AR: Dr. Bunch, thank you so much for sharing your thoughts with me today. I would like to talk with you about your take on community museums and national museums and the different kinds of work they do, or similar kinds of work, about sexuality in museums and about the visibility of LGBTQ people in museums. My first question is about the National Museum of African American History and Culture, which to me seems to be both a community museum and a national museum. Does that present challenges? LB: It presents challenges because people expect it to be a community museum. And in many ways, the community aspect is crucial, but it’s really just a lens to look at the bigger national issues. That’s what makes it a little tough on people. Some people are going to say, you’re talking about what this means for American identity, instead of saying more about the Civil Rights Movement. Basically, I don’t buy the dichotomy. We’re using the community to get at a national story, which is very different than any other ethnically specific museums. I even hate that term. Because I think that we’re not, I think we’re an American History museum. That’s the way I feel. AR: But still there is now a National Museum of African American History and that is its own building and its own museum, so there seems to be a need still. LB: A great need. What I think is that we can do many things. We can fulfill the community’s need to find a space that remembers, to find a space that honors, to find a space that is both inspirational and prods a community to strive harder for the future, as well as say that all of that community is so powerful, and has profoundly shaped America’s notions of itself. How do we make sure we can do both? I think part of it is literally walking through each exhibit. I actually have the curators tell me: What’s the community story? What’s the national story? In a very linear way. Just so I don’t miss it. And then how we frame the entire museum is really the challenge for us. AR: To me, it always seems so difficult to connect traumatic history with the need to represent also a great history, a history of overcoming trauma, overcoming violence. And to instill pride, but to stay critical, I guess. LB: I think there are a couple things that we wrestle with. One is the realization that there are a lot of people who don’t want the critical story. Because one, they’re worried about victimization, that that’s not a positive story. There are people who say, whatever you do, don’t talk about slavery, but I wish I was as strong as my enslaved ancestors. So what I’m trying to do is put it on its head, to say that this is a story that’s gotta talk about tragedy, separations of family, brutality. But the other side of it is that this is a community that didn’t break during that. Trying to find the right tension, that’s what I’m trying to do for all these questions. If I’ve got the right tension I’ve got it. AR: What do you do when people are so afraid of controversy? LB: A couple of things. One is, you’ve gotta figure out, how do you give people those moments where they are gonna cry. And then how do you find those other moments where they find that resilience. It’s about juxtaposition. It’s about basically saying, this is a place that you will find both. Because only by finding both do you find an accurate history. At one point the designers were so convinced that the important things show violence, that they wanted to do a violence line through the entire museum. And I said that makes no sense. You don’t define a people by violence. But you don’t run away from that. So it’s almost like I would walk you through each exhibit, and would be able to say to you, here’s where we find that tension. I also know that in some ways, this is a story where anytime America’s notions of liberty have been extended, it’s been tied to the African American community. So, regardless of the pain, that gives them the sort of centrality in shaping America’s identity. AR: With a history that has often been very violent, you have objects that speak of that violence, that are often objects with enormous emotional force. How do you balance having these very strong objects that make many people cry, or lose their words, with objects that just in terms of their materiality, don’t seem as strong, even though they have incredibly strong stories in them, like maybe a letter or a diary? LB: I spend a lot of time talking to educational psychologists and folks who handle that kind of almost post-traumatic stress. Part of it was that there are people in the museum who are there to help visitors negotiate that – rather than leave it simply to the way I juxtapose objects, actually have people there. But I’m also trying to find ways to tell different stories in ways that people understand. For example, there’s a letter I have that is really someone’s freedom papers. He gained his freedom in 1850. It talks about who owned him, and how he gained his freedom. Because he knew that was the only thing that would protect him, he actually made what he called a tin wallet, a handmade tin wallet, and he put it in, because he didn’t want the sweat from work, or anything else, to affect it. Every night, according to family lore, he would take it out, put it back in the wallet, and he would tell his family, “That’s the key to our freedom.” And so the family kept that. They gave it to us. We’re going to use that to tell the story, one of the stories of slavery, but through that letter. The other side is, we have the coffin of Emmett Till. Do we display it? I decided, yes. How do you do that? So really it’s taking each object that has that power and trying to figure out what’s the best way to frame it to give people the experience of it, but not so that the object overwhelms the broader story. AR: So how did you do that with Emmett Till’s coffin? LB: I knew his mother before she died, and she used to say that the most important thing she ever did was to make that casket open, so the world could see what they did to her son. So I said, OK, that’s going to be our framework. But how do we do it, do we just put it in a case? And I decided to tell the story of Emmett Till through the mother’s words. So that you enter a room, and the first part of the room is the story told through her words, and then she leads you to the funeral. And the casket is set like it was at the funeral in the church. So for some people, that takes some of the sting off, but you still find the pain. The question that I haven’t answered yet is do you do something in the casket that, you know, shows his face? I don’t think I want to do that. But that’s a debate that we’re having now, trying to make last-minute decisions on that. AR: So the way to do that would be using photographs? AR: You were talking about how you don’t like the term “ethnic museum,” and I get that, and how I understand that is that that makes it too easy to compartmentalize, right? I feel like for many people, it’s easy to say, African American history is something for African Americans. And I think in a similar way they will say, LGBTQ history is something for LGBTQ people, and it doesn’t affect us, and it doesn’t tell important stories for us. It’s not important for us to study that to understand our own stories. 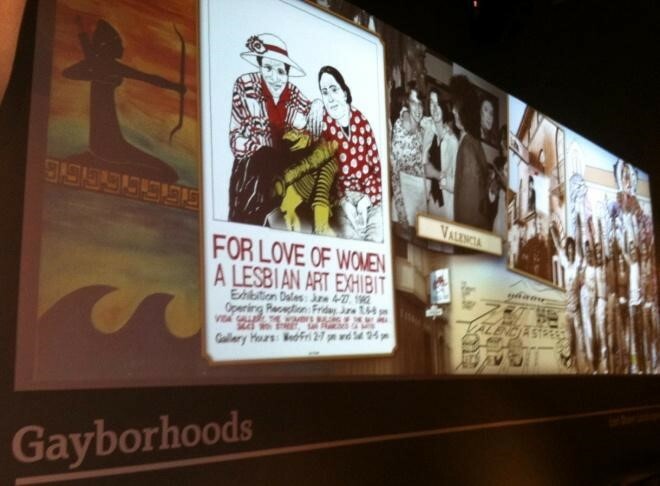 I know that there’s been discussion of founding an LGBT History Museum, a national museum. What are your thoughts on that? LB: Well, personally, I would be very supportive of a museum that explores that community as a way to help us all understand how it has shaped our sense of self. 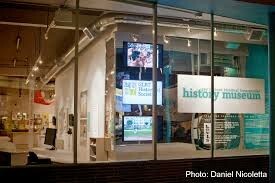 When I was president of the Chicago Historical Society, I created “Out at CHS.” And I did it for really three reasons. One is, since my whole work had always been about communities, but the communities were defined as ethnic or racial, I thought, let me expand the notion. So I did a big thing on the teen community. On paper I could argue, I’m just doing what I normally have done. The second reason was, I was new to the city of Chicago. I wasn’t a scholar of Chicago. And as I was doing my work to get to know Chicago, I was struck by how different moments in LGBT history really shaped the city. I was thinking a lot about the South Side, where there was this whole notion of drag queens and how that was then embraced as a way to make black culture visible. And so that got me thinking about it. As I began to talk with scholars, I said, let’s do it. And it was the biggest criticism I ever received. But the other way I was able to do it was – I’m pretty devious, OK, so I’ll be honest. The other way I did it was I said, this is also a community with disposable income and here you have a museum that needs that support. And so when we did the first program “Out at CHS,” I said, if this is important, I need you to join the museum. We got 690 new members that first night. And that gave me the umbrella to keep the board off. So I’m really a big believer of it. I’ve made a commitment to integrate this story at various stages in the museum. And I’m getting criticized from the religious community. I’m getting criticized from the Republican community. But I was going to get criticized from them anyway, no matter what I did. I’ve really worked hard to say, I do not want to create isolated moments that say, Oh, here’s a story, but rather look at things in the long run. So one of the things that I’ve done, which is why I’ve upset the church, is one of the strongest elements of LGBT history is within the Black church, the tension between the conservatism of that church and the fact that often the choir master was gay. So I’ve actually played that out, and people were really mad at me. And then obviously to talk about individuals whose work was transformative. Whether it’s James Baldwin as an author, or Bayard Rustin, the planner behind the Civil Rights March on Washington. So part of what I’ve done is made sure that there’s not a separate gallery, but there are significant moments throughout the museum where this is interpreted not as something special, but as part of understanding the bigger moment that we’re wrestling with. So that’s what I’ve been trying to do. LB: My either weakness or strength is that I think the job is to make America better, and I think the job is to shine the light on dark corners that haven’t been given the light. And also it really is right for me. You can’t just argue that it’s important to do this group, but not that group. At least I can’t. Others can, but I can’t. 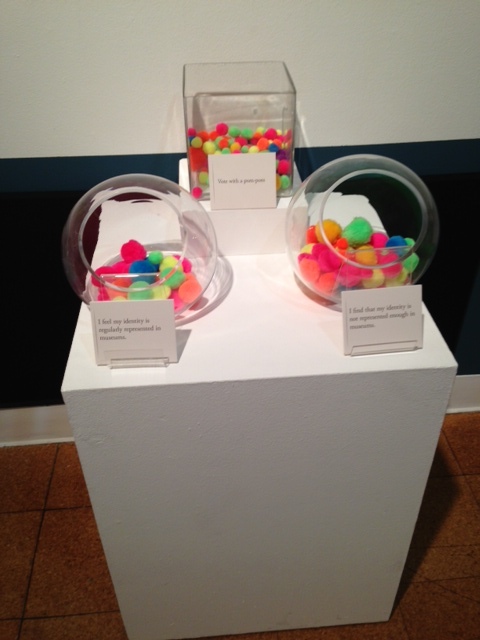 AR: Do you feel that sexuality is an issue that historical museums should tackle? LB: I believe so strongly. It is a crucially important question that is the most dangerous question in most museums. I can talk about racial violence, but I can’t talk about sexual violence. At least that’s the perception. So for me, I think it’s really important to do this. But I’m also not convinced everybody needs to do what I did in Chicago. I do believe that even small organizations can find ways to both make sure that there is a presence in their exhibitions, and to take the opportunity to do rigorous programming. At a small place, that gives you confidence to continue to build. And the other reason why I think it’s so important is that there’s now really good scholarship. When I did “Out at CHS” in 2001, the scholarship wasn’t as strong. It’s much stronger now. Now you have debate and nuance. The first generation of scholarship was really, “We’re here too.” And that was important. But that’s difficult for museums to simply say, we’re here too. Now, museums can say, we understand now what this means in terms of, you know, urbanization of some parts of the city. So it’s really important stuff. I’m a believer that not everybody can do it right away, but I think that institutions ought to take this on if they believe that they are a value to their community. 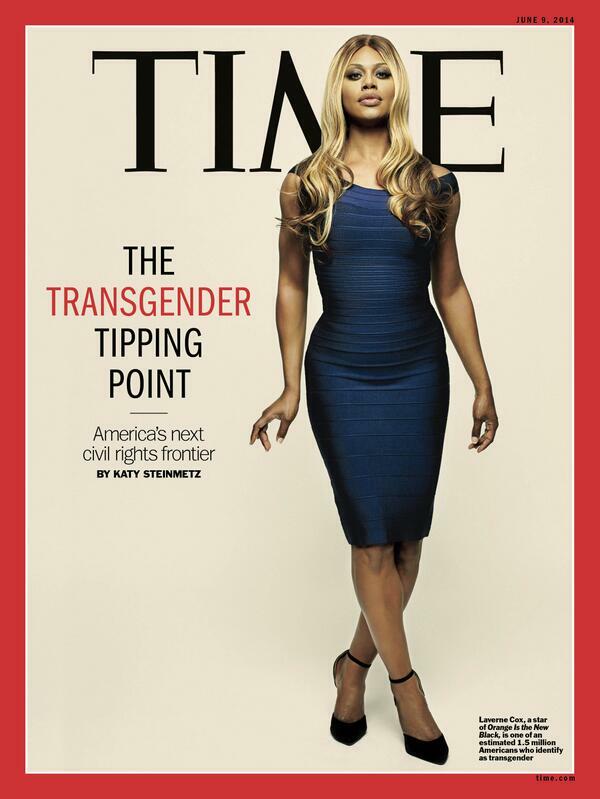 And if their community is something important, their community is also the LGBT community. AR: So how is your museum doing that? What are topics that you can see that being a part of? What are ways to do that? LB: Part of what I’m trying to do is, everything has to have more than one bounce, because that’s just the only way I can do it. So for example, the Bayard Rustin story has allowed me to talk about why he gets ostracized. It’s because he’s a communist, but it really is more sexuality than anything else. That allows me to raise blacklisting. It allows me to raise the church’s stance. I mean, the most interesting thing about King is this is a conservative minister who on the one hand was comfortable with the kind of leadership of Rustin, while on the other hand, when it came time to say, do I defend?, he didn’t. It was out of his hands. So I want to tell that story. That’s kind of the way I’m trying to do it. While there are moments that we do pull somebody out, so, for example, with James Baldwin. Not just focusing on “The Fire Next Time,” but on “Giovanni’s Room.” We’ve been asked to put a series of stamps together for the Post Office. And I said, we’ll do literature. And we wanna do James Baldwin, and the cover is Giovanni’s Room. They’re like going crazy, you told me one of the best books you ever read is The Fire Next Time. I said, yeah, but what a message you’re sending, if that’s on a stamp that everybody buys and uses. I am subversive the best I can. Part of it is then also trying to make sure it’s not simply a twentieth century story, trying to make sure that as we talk about the colored women’s movement, beginning in the late nineteenth century, where does sexuality play in that kind of issue? So really trying to find ways that it is both embedded in the stories we tell, but also clear enough to say, here are new ways to think about these stories, these moments, these communities. AR: I was just yesterday at a book discussion about sexuality and slavery. Would that be a place to talk about sexuality, sexual violence also? LB: Absolutely. One of the things we’ve done is looked at this question of sexual violence, looked at what are the relationships you build across gender, within gender. I’ve pulled some people together to help me think about what I can tell. Not what I can tell, but what’s the best thing I can tell, right? Because sexual violence is one of the things that’s really important to me throughout the museum. I’m really interested in how that plays out, what does that mean. How do people survive that. What are the ways communities come together to do that. So that’s one of the things that I want to talk about through slavery. Obviously I want to talk about sexual violence as one of the, I would argue, most important engines for the civil rights movement. The kind of battle of black and white women against sexual violence in the South in the late forties, early fifties. I think that is the organizing strategy that really paves the way for the rest of the civil rights movement. Things like that, that ninety-nine percent of our visitors don’t know, I’m always trying to find the right balance between giving people what they want and giving them what they need. AR: In your mission, you talk about telling an international story, not just a national story. I’m interested to hear how you do that, why that is important. LB: Why it’s important is first of all, for many people outside the United States, especially in the twentieth century, their first way into America was through African American culture. I want to take advantage of that. And then to trying to understand how international issues have shaped the American experience. I want to be able to talk about what happens when West Indians move to New York in the early twentieth century. Looking at Marcus Garvey as a West Indian and why some of the anti-Garveyism was also anti-Immigrant. I want to raise this issue of why do we look at the United States only through an English prism rather than through the African descent people who were present among the founders of L.A., or in Mexico. So it’s both looking at what do global issues do to shape this, and what does African American culture do. The notion of African American culture as a beacon of possibility globally. Whether it’s Lech Walesa singing “We shall overcome,” or Mandela talking about the power of Frederick Douglass inspiring him to move forward. And I’ve got to be honest. I get a lot of criticism for that. I get it from some board members, I get it from some community groups, some educators, saying that “You’re doing too much. This ought to be within the boundaries of the United States.” And I just think, I can’t tell the story that way. I have been so struck in my work with women of color in Germany. That’s one of the groups I work a lot with. Some are obviously kids of G.I.s. What does that mean to Germany to have that presence? And what does it mean to these kids that they’ve never been to America, but they have that presence. Trying to wrestle with those kinds of things interests me. Now, the real challenge for me is, how much of that is exhibits, and how much of that is programmatic. I haven’t figured all that out. I want to do that. 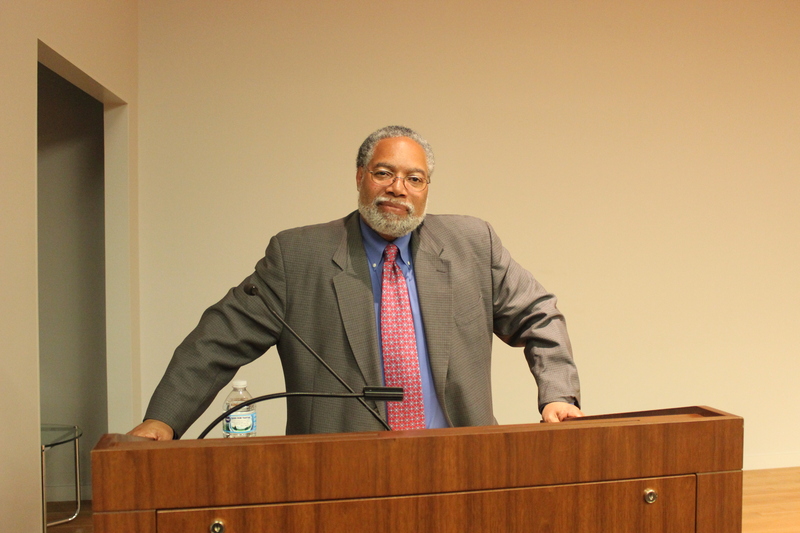 Dr. Lonnie Bunch is the director of the National Museum of African American History and Culture in Washington, D.C. I had a chance to talk to him on March 19, 2015, when he visited the University of Michigan in Ann Arbor. The interview has been slightly edited for length. Andrea Rottmann is a PhD candidate in German Studies at the University of Michigan in Ann Arbor. Her work focuses on the transnational histories of sexuality and the LGBTQ movements in German-speaking Europe and the United States in the 20th century. She thinks about questions of representation, identity, and recognition, particularly as they are negotiated in museums and exhibitions. She is continuously intrigued by the relationship of the past and the present and by the ways in which history is being told in- and outside of academia. Andrea has interned with museums in the U.S. and Germany. Most recently, she helped write the nomination for Chicago’s Henry Gerber House to become a National Historic Landmark.